A little snow never stops Albertans. For those people that love nature, the outdoors, and a weekend away in the wilderness, there’s good news! You don’t have to wait until summer to keep enjoying the incredible natural wonders of our province. 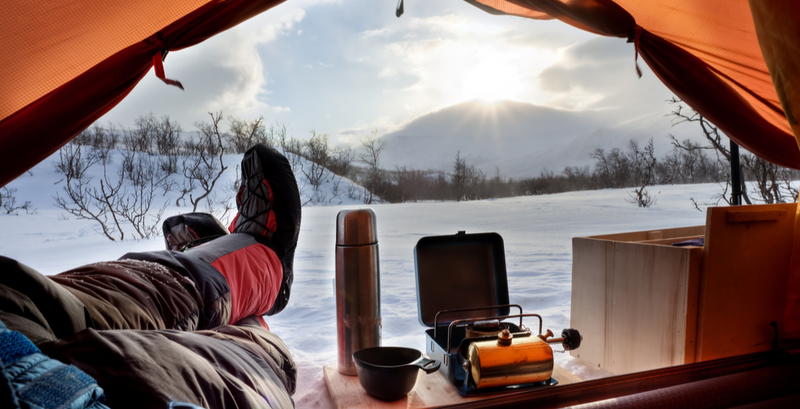 Here are eight campsites that are open all year round, where those nature lovers can get their fix of the great outdoors this winter. For your own safety, please make sure you are prepared before heading out on your next adventure. 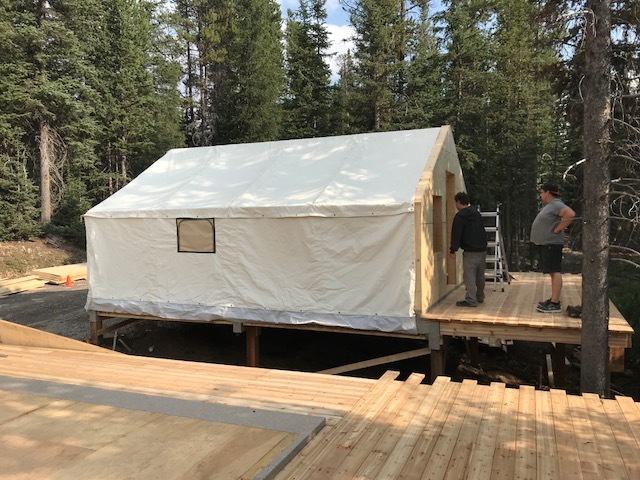 Information on how to prepare for your trip and stay safe while on your hike is available from AdventureSmart and Alberta Parks. Hike-in camping only with no road access. The hike to these 20 campsites is over 3 kilometres long. Can also be accessed by boat. 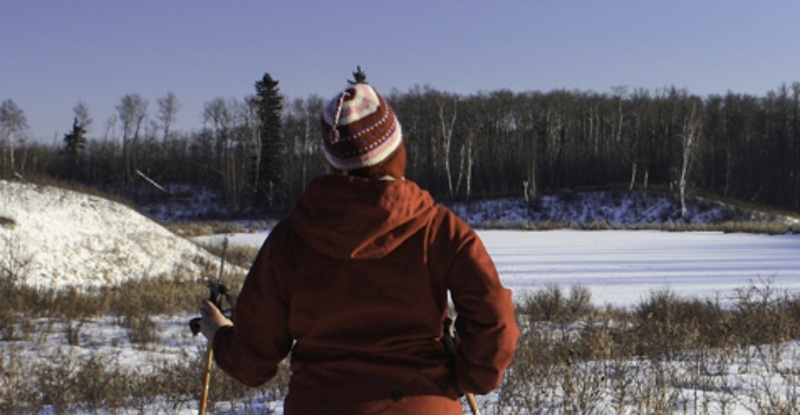 Suitable for RVs or tents — Beauvais Lake is perfect for winter ice fishing. If you’re not enjoying roughing it in the other options —here’s a way for you to camp in style! Rent a one bedroom Glamp-Site with the view of a meadow and creek. A gas fireplace will even keep you warm! Rate: $420 per night ($125 per additional person, $75 per child 6-12 years old, $40 per child 3-5 years old. 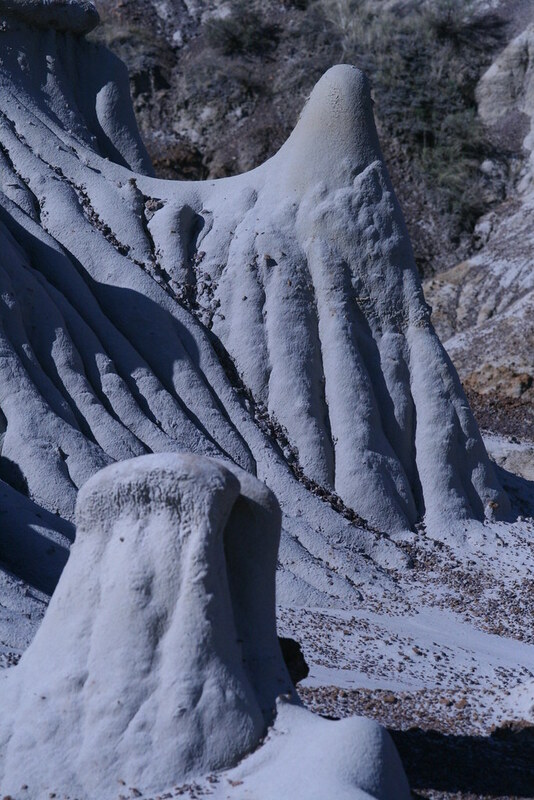 A UNESCO world heritage site — this campground is world-renowned for having dinosaur fossils and land formations that have taken on odd shapes. Called the badlands, there are 126 campsites within the park. Good for tents or RVs – this campground presents many opportunities for hiking, snowshoeing, mountain biking, and skiing. At night this is an excellent location to watch the stars. 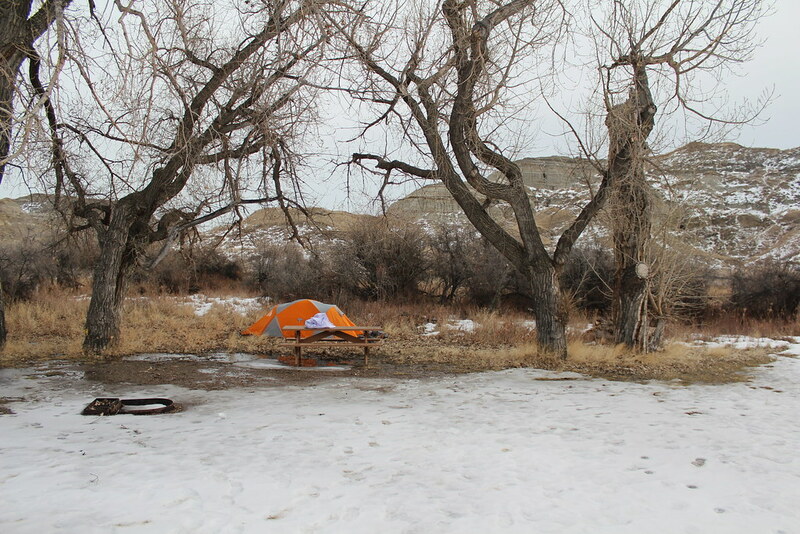 Available for tents or RVs (although roads are not maintained during the winter, so beware) these campsites are located along the Smoky River. This campground also offers many nearby hiking trails, though you may need to pack your snowshoes. Suitable for tents and RVs — this campground has many trails open for exploring. While this campground is usually perfect for biking trails, in the winter time you can take snowmobiles through the breath-taking landscapes. Suitable for tents and RVs, this campground is excellent for bird watching and marsh trails. Location: 13 km south of Brooks off Highway 873. Bachelor of Arts in Political Science from UBC with a specialization in Political Theory. BCIT Journalism. Lover of politics, lover of sports, lover of life. I breathe at least once per day.